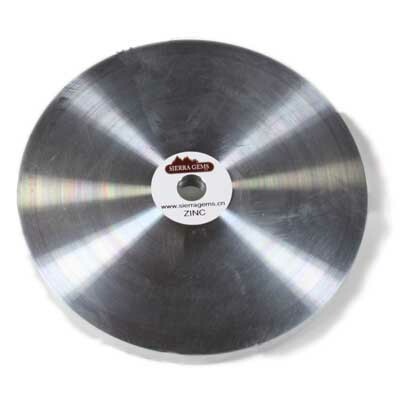 Cast Zinc Polishing Lap 6 at the Lowest Prices from Sierra Gems! This solid zinc lap is rigid and think enough (approx. 1/2 inch) to serve as a single solid lap, without bonding to a base plate or require a master lap base, and can be re-machined if the need arises.